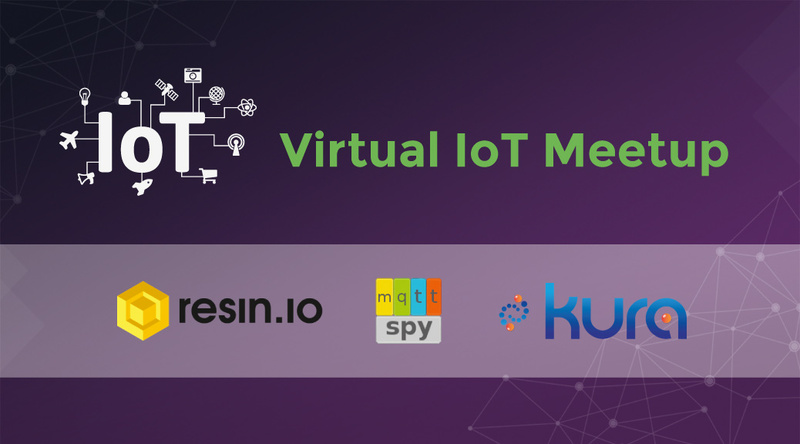 We have some great Virtual IoT meetups lined up for the next couple months! They are a great opportunity to learn about existing and emerging IoT tech, as well as to engage with some of the key people that are actually building the Internet of Things. Please make sure to check them out and register to be reminded to attend them in time! Also, if you’re interested in presenting something cool that you’re doing in the field of IoT, please contact me! About a year ago, we realized that although the IoT is on everyone’s lips, there is a huge lack of technical resources available for people interested in learning more and getting their hands dirty with the solutions available today. Our Virtual IoT meetup group is an attempt, pretty successful so far, at bridging this gap. The idea is simple: we are organizing regular hangouts where we invite IoT experts and thought leaders to share their experience in IoT, and you can join us to get a chance to learn more and directly ask to these experts any question you may have. We try to answer some of the most commons questions like: “What protocols should I use?”, “How do wireless sensor networks really work?”, “Is there a programming language of choice for IoT?”, “How can I extract meaningful info from my IoT firehose?”, etc. You should definitely check out (and subscribe to!) the YouTube playlist of our webinars to date. Last but not least, if you are interested in sharing with our crowd your experience on an IoT-related topic, please contact me and we would certainly be happy to have you!